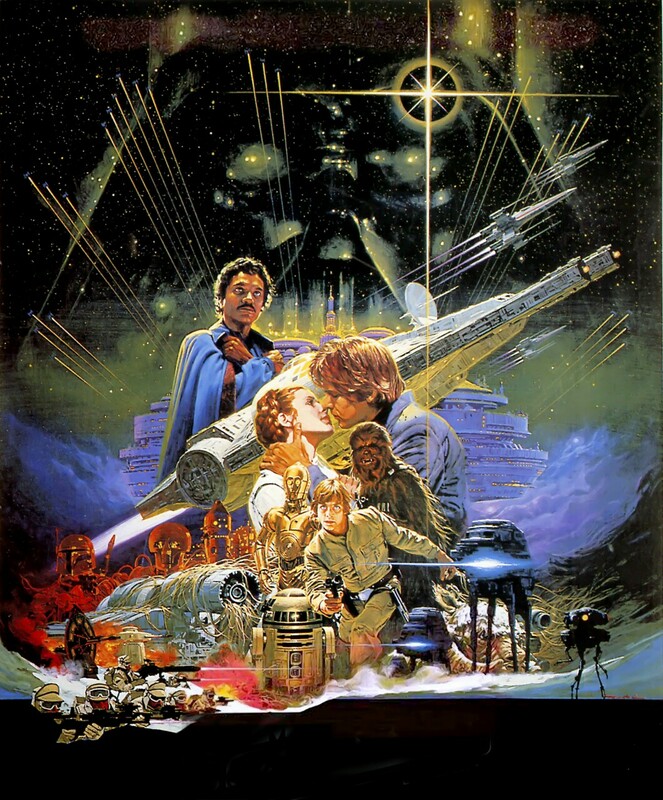 Noriyoshi Ohrai (1935-2015) was a Japanese illustrator best known for his popular movie posters crafted for films such as The Goonies and The Empire Strikes Back. 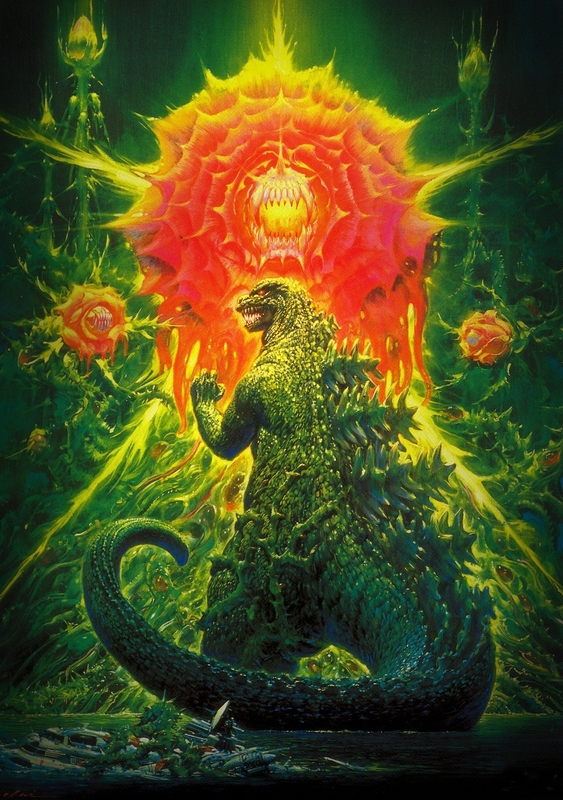 Among the posters he created, he crafted all of the Japanese theatrical posters for the seven Godzilla films collectively known as the Heisei period. Released between 1984 and 1995, these films of the franchise were disconnected from the continuity of the earlier Godzilla movies of the Shōwa period (1954–1975)… except for the original 1954 Godzilla. I’ve chosen to share his 1989 poster for Godzilla vs. Biollante today. It really stands out from the others in the Heisei series with his overall use of cool, green colors. I’d even call it brooding. Biollante –A mutant rose infused with Godzilla’s DNA— is vivid and central with her petaled maw of reds and yellows looking unearthly. It’s an amazing introduction for a wildly different opponent to the King of Monsters… and she remains a singular and unique foe to this day within his rogues gallery. The film itself never saw a theatrical release in the United States, instead being released by HBO in 1993 after a long legal dispute. As a young, pre-internet Godzilla fan almost out of high school, I had managed to hear of this film through fanzines and was eager to see it. When I finally snagged a copy, Mr. Ohrai’s art was what greeted me on the VHS cassette cover. It’s a good movie that wasn’t well received in either Japan or the States at the time. As a film, its themes touch on dark undertones and fears about genetic engineering in much the same way the original 1954 Gojira did with radiation and nuclear war. This didn’t prove popular with audiences seeking more of a monster spectacle in a Godzilla film. 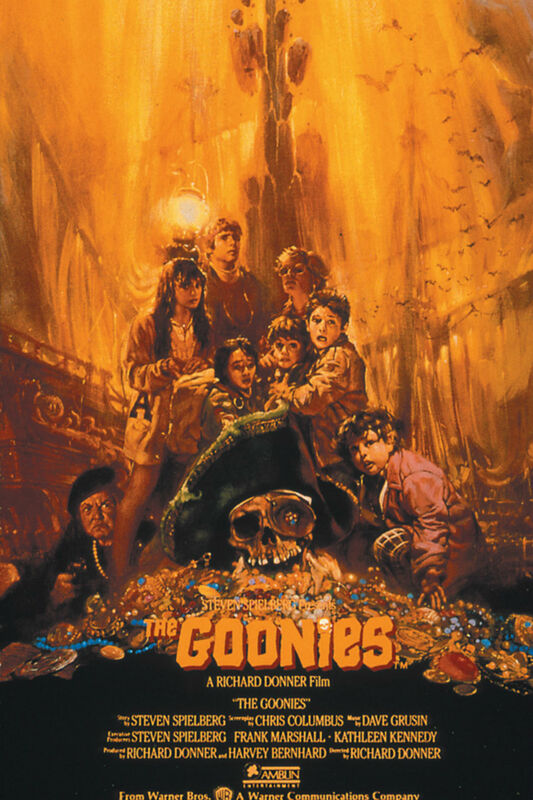 But as a result of this tone, the movie has aged well now that we have grown more aware of the themes it uses. And that’s not to say Godzilla vs. Biollante lacks monster-on-monster action, or that some of the action isn’t a little goofy (particularly a few of the human action sequences). But it’s one of the better –and certainly more original– Godzilla films. I love the idea of a mutant rose, but the thing about evil plants is, unless they can walk somehow, they’re pretty easy to avoid.